Sari-sari stores (small retail stores often found attached to a Filipino dwelling) are a big part of the Filipino culture. It seems that no barangay (village) in the country is devoid of a sari-sari store. These small stores are stocked with stuff that Pinoys used on a daily basis plus some extra finds, the type of which would depend on the store’s location and the brilliance of its owner. Since there are likely other sari-sari stores within a few feet from yours, as much as possible try to gain the reputation of having the best stocks. People would want to find everything they need on one go, rather than go from your store to another in search of the stuff they need. For example, aside from selling different types of canned goods, toiletries, rice, candies, and snack items, you might also considering offering school supplies to cater to the needs of school children. 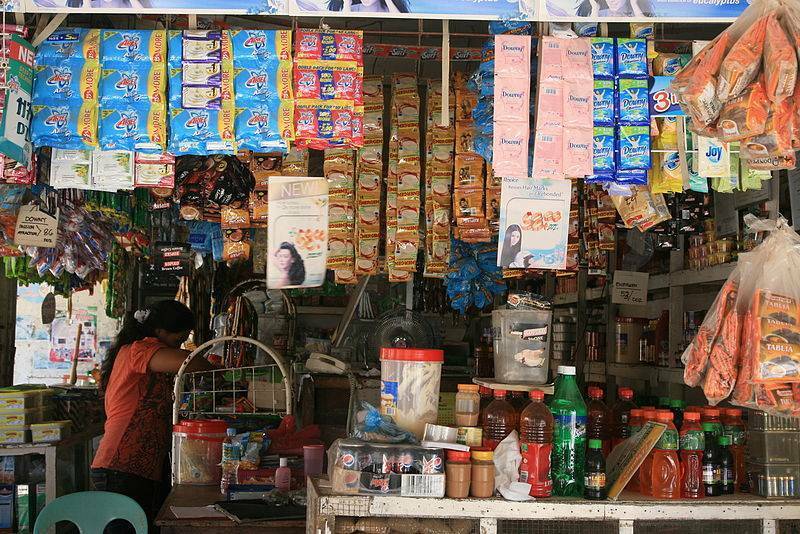 Have you noticed how sari-sari stores often have plenty of differently sized shelves and lots of hanging items? This ensures that there is ample space for the stuff you sell. While you will eventually memorize the locations of all the items that you sell, it is still a good idea to organize the items in your store. For example, group together all canned food, all the soap, all the shampoo, all the sachet food, all the diapers, all the condiments, all the biscuits, all the junk food, etc. This way, it would be easier for you to search for the ones your customer is buying or they could easily view the stocks that you offer. While starting out, you might not have an idea which stuff sell best and which items many of your customers will be looking for but it is always nice to update your stocks to keep up with the trends and your buyers’ needs. Aside from this helping you organize your store, labeling your shelves and putting price tags will also help your customers have a better buying experience from your store. This also saves both you and your customers time – and they do not have to keep asking about the prices of commodities available in your store. 5. Do Not Allow Credit! This might trouble your store at first since a lot of customers prefer the ones that offer credit yet this rule will give you peace of mind in the long run. Credit tabs give trouble to many sari-sari store owners since their profits would soon go to these stacks of paper which the customers do not often pay diligently. …and if you ask them to pay, they would either give you sob stories about not having money to feed their family or they could even get angry! So, keep yourself out of trouble. Do not allow credit in your store! What Will Next-Wave Sari-Sari Stores Look Like by 2020?